Discussion in 'Forum Introductions (Who are you!?)' started by LesleyAnne, Apr 13, 2019. Just a quick introduction... I was playing a game online this evening and the young man who was my opponent mentioned this group. As he appeared well read and we had some good discussions around books and financial freedom (our game being forgotten for huge swathes of time whilst we conversed) I thought I would drop by and see what this forum was about. On my way here I ordered the fastlane book too. I have spent my life being a good worker, mother to my children etc., but a year or so back suddenly realised that as I approach my golden years I have nothing but poverty ahead of me. So here I am, looking for ways to change my life around a little and hopefully help make a difference to those around me also. Sheens, astr0, MHP368 and 2 others like this. Wow, you had a great game today! 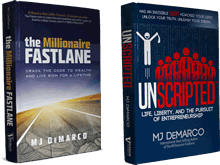 Both The Millionaire Fastlane and UNSCRIPTED are great reads. Let us know what you think of them! Welcome! Take some action, this is a great first step! Read MJ's books first, and go through the Gold threads on this forum to catch up with all the good stuff. This will be your MBA, and the start of a better life! Welcome LesleyAnne. I'd say regardless the outcome of the game, you won. 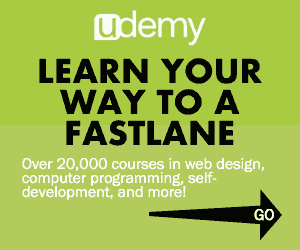 I hope you'll find The Millionaire Fastlane as meaningful as those of us here. More importantly, I hope it will help guide you to a better future. We all look forward to your success. LesleyAnne and Wiggly0607 like this. I was playing a game online this evening and the young man who was my opponent mentioned this group. Please tell him MJ said "thank you!" Looking forward to reading the book and getting involved.